Who doesn’t love bacon? The fatty meat is savory and salty, plus it pairs perfectly with everything from eggs and beef to pizza. But what’s better than eating bacon? Eating free bacon. And one fast-food chain has you covered. Wendy’s is giving away free bacon cheeseburgers — but you’d better hurry. This deal is available for one week only. Wendy’s announced the promotion on Twitter, first with a tease-y message that read, “[H]eard y’all like bacon” and then a follow-up post. “This is the plug. Not just bacon, an entire free Baconator. Use code: FREEBACONATOR” to redeem. Of course, as with all good things, there is a catch. In order to redeem your free sandwich, you have to use DoorDash and place an order of $10 or more. But can you really put a price on two warm beef patties, American cheese, six slices of applewood-smoked bacon (yes, six!!! ), ketchup, mayo and some good ol’ white bread? Yeah, we think not. 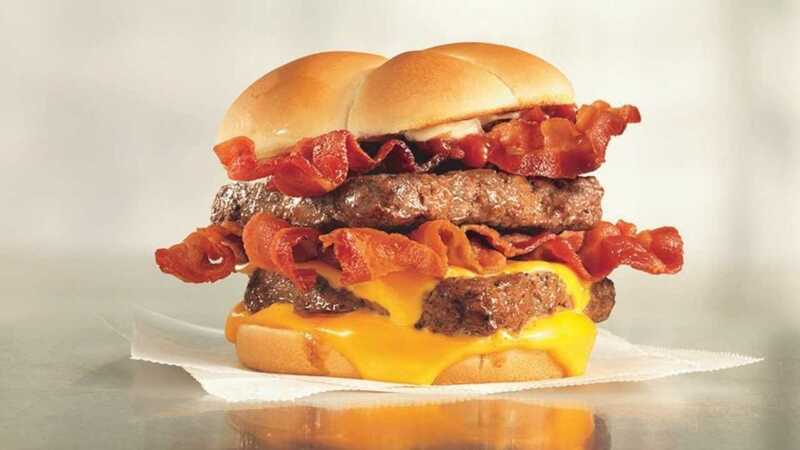 Wendy’s is not the first fast-food chain to jump on the bacon bandwagon. Dunkin’ recently announced the return of their brown sugar-chipotle bacon breakfast sandwich; in November, Burger King released their cheesy bacon crispy chicken sandwich; and you can now add bacon to McDonald’s infamous french fries — or any of their burgers. This deal is only available through Feb. 4. So go forth, order and ingest bacon. Your tummy will thank you.